Is the care home sector working well? 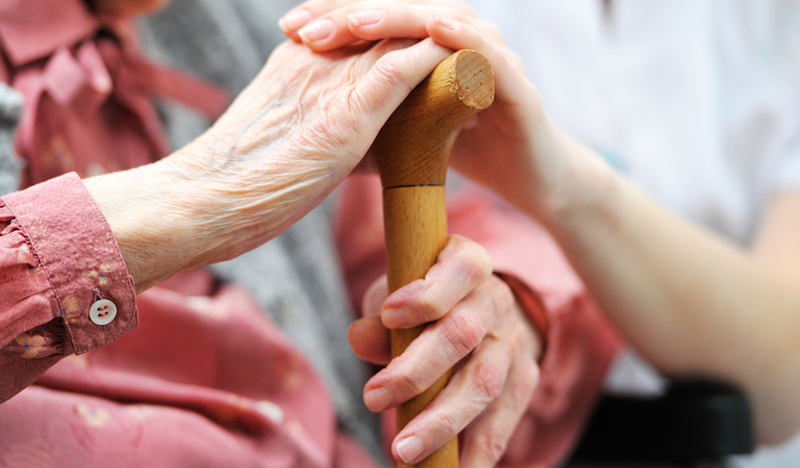 The Competition and Markets Authority is undertaking a thorough review of the care home sector to make sure it works in the best interests of those who rely on it, as Douglas Cooper of the CMA explains. We launched our market study in December last year to look at issues affecting the 430,000 older people in care and nursing homes across the UK. We want to be sure that the care homes sector is working well for residents and their families. Care homes can provide a safe, warm and caring environment for older people to be looked after when they’re no longer able to cope at home. But choosing a care home is a big decision, which often needs to be taken in stressful or upsetting circumstances, and can have a huge financial impact on families. In particular, we want to know that residents and their families can get the information they need, when they need it, that they understand any contracts they sign once a home is chosen, and that they are treated fairly by the home during the time they need it. We’re also looking very closely at reports of potentially unfair practices and contract terms being used by some care homes. We will assess how widespread these concerns are, how they’re affecting residents, and whether they are likely to breach consumer law. We’re now a few months into our study and have already received a wealth of useful information and well-informed opinions. Hidden charges where residents face additional fees for services they didn’t know weren’t covered within the weekly fees. Examples might include charges for accompanying residents to medical appointments or entertainment. Care home residents being charged large deposits/upfront payments without being clear what these cover. Unreasonably long notice periods to leave the home. Residents in receipt of local authority funding being asked directly for top-up payments for additional services by the care home, but it may not always be clear what they are being charged for. We’re also looking at complaints and redress systems to assess whether these work effectively for residents and their families or if they are difficult to use and deter people from complaining, for example through fear of retaliation against them. We’re taking a detailed look into how common these practices are. We haven’t yet formed any view about whether they break any consumer law or other regulations. But if we do find there are problems, we can take action, including launching enforcement cases or making recommendations for changes in the rules that protect residents and their families. We want to gather further information and that’s why we welcome the launch of the Which? care home reporting tool, where your comments will be treated confidentially. We want to hear about the experiences of residents and their families who feel they may have been treated unfairly by a care home. This will feed into our study and help inform our conclusions when we publish our final report by the end of the year. We’ll also be ready to publish our interim report in May this year. This is a guest contribution by Douglas Cooper of the CMA. All views expressed here are the CMA’s and not necessarily those shared by Which?. What’s your experience of the care home sector? Have you or an older relative/friend ever been treated unfairly by a care home’s practice, contract or complaints procedure? Or, if you’ve ever worked in the sector, what sort of problems did you encounter? If you’d like to share sensitive personal experiences in the comments below, please choose to do so using an alias, and omit anything identifiable. My father is in a dementia care home and he is very happy. The doors are open to visitors and volunteers pretty much around the clock and they will always go the extra mile for residents and family/visitors. Good, well planned activities take place at least twice a day and real relationships are built up between all. We know we are very lucky and that money for extras is always tight, with staff helping to fundraise in their own time and often at their own expense. The job of a carer should have far more respect given to it and more money paid. How can we live in a society where jobs far easier and with less importance are paid far, far more. The whole set up of the system is at fault….and we vote for it. My father is at present self funded having saved and been careful all his life. However, should we run out of money, the local authority, who will have been saved well over a hundred thousand pounds in funding, will not pay the cost of him remaining, the shortfall being left to us, who will also be funding children through university and expected to try and save for our old age! Luckily, his care home is not one of the very expensive ones and we hope to have enough, but it is a real worry. If you break down the cost of a care home to an hourly rate, given that care is 24 hrs a day every day then I don’t think we can complain at the around £6 per hour it comes out at. The whole challenge to society of care for our elderly citizens needs urgent discussion, review and most of all, action. When the time came for my mother in law to be placed in a care home, my wife and I visited every one (22) in the town where she lived. We had an evaluation checklist and finally found what we considered the best home . She stayed there 3 years and we were not disappointed – staff were helpful and hard working, food was ok, cleaning standards were fine, the decor was pleasant and there was no hint of unprofessional behaviour. One has to make a careful assessment of each place first. Age Concern produce a useful booklet on how to select a care home which I recommend. Unfortunately, I heard the “right words” many times, but the reality was something else. How can one know in advance whether your beloved will get proper care or not? My father spent the last few months of his life in a nursing home. It appeared to be well run when we chose it. The room was ensuite but we found that Dad wasn’t having a shower when he wanted as they had a rota!!! The hot water at first for was only tepid which was brought to the notice of the management. It was being fixed but took weeks. The most upsetting occurrence was when my Dad was dying. He was quite distressed and the Gp was called. When he didn’t arrive no attempt was made by the nurse I/c to call him again. So the next day , we contacted the surgery to make a visit . The Gp was extremely rude to us for calling him. This was appalling considering we were about to be bereaved as my Dad died that day . Disgusting Patricia, he should have attended to give painkillers etc , report the practice to the Medical Council. They would,at the very least, get a piece of my mind , by a personal visit –not booked in , but by me marching through the door and making all the waiting patients hear what I had to say. Making a complaint to the Medical Council is not really what one wants to be doing, especially when you are grieving. Perhaps, and I stress the perhaps, this is why care companies get away with such bad activities. My own experience with home care for my father is that the whole thing is governed by a ‘legal’ paper chase. How often have I heard the phrase “it’s not in the care plan” or “we are not allowed to do that by law”. As example, the first one was a response to my request to empty the bins – and ’empty the bins’ was in the care plan. But the carers were quite happy to let the bins to overflow on to the surrounding bin area. The second was my request that they check and replace the hearing aid batteries before they put them into my father’s ears. I was told it was my reposibility to change the batteries – but they were quite happy to put his hearing aids in making him ‘doubly’ deaf. So what is the care plan for? It is purely there to legally protect the care company. The care plan does not releate to actual care. For instance, these plans are exceeding long – some 13 pages. Accordingly, the carers simply do not have time – or the appetite – to read them. The number of examples of not reading the care plan would fill several pages. In response to my complaints, the response by the care company was to create yet more paper work. This means that there is less time to actually do some caring. So I would say that for a 30 minute call, more or less half that time is reading the care plan (or not, as the case may be) and writing down what they did (or did not, as the case may be) . I was told that writing everything down is required ‘by law’ and by ‘Social Care’. I did ask which parliamentary law they were refering to, but got no response. And when asked for the complaint procedure, it is, once again, a rediculous paper chase, which has the effect that I can’t be bothered to waste my time, especially as they cancel the care contract. It is, quite simply, in the managers hands. A classic example is that the management allows 6 minutes to travel 14 miles to the next call. A simple calculation shows even travelling at 120 mph you would cover 12 miles. The managers state that there will be a ‘main carer’ but actually programmes 8 or 10 different carers in any one week. So how do the carer’s pass on important information is passed not only onto the next carer. The answer is that its written in the care plan. But as noted, they do not have the time to read the care plan. So do they inform the ‘office’ and in critical situations, myself? I have an example where the carer failed to get my father up one morning. Therefore the carer did not give him his medication, food or water. Most important of all, did not inform the ‘office’. The consequence of that was my father was without food, liquid and medication for more or less 24 hours. When challenged I was told that, “the carer did not tell us” and ultimately that “once the call is completed its not our responsibility”. * Less paperwork, not more. * That if the person being cared for does not have an ‘advocate’ to represent them, and there must be a large number of people in that situation, if they do not have an advocate, them Social Care must allocate one and are required to visit several times a week to ensure that carer is being delivered and is not simply a paper exercise. * and I repeat the point once again – less paperwork not more. And as an idea, that the government can fund a university or similar, to programme a ‘Siri’ or similar to not only guide the carer what they have to do, but will also allow the carer to record in words what they are doing during the call. Great sympathy Glenda – It angers me that official organisations can ;literally get “away with murder ” /manslaughter/etc , if this was done in the other places somebody would be charged with something even NHS hospitals have been charged up until they brought out laws against whistle-blowers putting their jobs+promotion on the line , and yes I worked in a hospital where a patient had to have a leg amputated due to misuse of an injection ( it was covered up ) , there is more. You will get no rest from this Glenda knowing justice was not done. Aiming ursing Home that has eyes residents, but I am the only one not suffering from dementia, so I stay in my room all the while and keep myself amused by reading using a tablet. On the whole the conditions are good and the food is acceptable, but the carers have little time to talk to me when they have to deal Sith me. The majority of the career safe compassionate ,but e few do their job OK ,but I get the impressionthat they are only interested in their pay. I get the impression that it is very basic – one young man who does night duty and is waiting to go to university said that he only gets £7.50 an hour. The place seems to be understaffed as I prequently wait an hour for my call bell to be answered. The shortage of staff means th at dementia patients often wander into my room and I feel threatened, especially at , been woken to find some one leaning over me. Although this is a Nursing Home, thenurseshave had to call in outside assistance to change my catheter – on one occasion I waged 36 hours in discomfort be for an emergency doctor was called duri g the night. There seems to be gradual change of staff, so presumably some aren’t satisfied with the job.